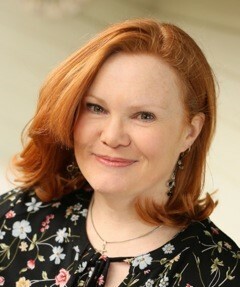 Terri Blackstock's If I Run series is incredible!! She left us all hanging at the end of book #1 and I could not wait for book #2 "If I'm Found" to be released. Now that it is and I have finished it, now I am eager for book #3 to be here and I have to wait another year! Casey is on the run trying to clear her name and find the truth. Dylan let her escape, but can she really trust him? And why is he trying to help her? Casey must stay a step ahead of her pursuer, but she can't see others being hurt without helping even if it puts her life in even more danger. Terri takes the reader on Casey's journey and does not give us a moment's break as this book is constant action, twists and turns and questions. This book is such a thrilling read, and I could not stop reading once I started. I highly recommend this series and I am still so full of questions and wondering where Casey will be and where she will end up in book #3. 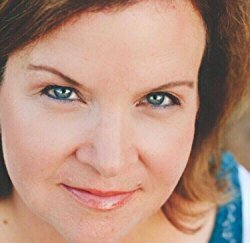 DiAnn Mills has created another romantic suspense novel that will keep you turning pages and reading late into the night. DiAnn doesn't waste anytime, she just dives right into the action, but also introduces the characters' right away. The reader meets Tori, a FBI Special Agent in the first chapter, at a cemetery visiting her brothers' grave. With this visit, I learned that she was close to her brother, is questioning God and doesn't have faith that prayer works, and is a kind and compassionate person. Then in the next second Tori is in Agent mode and handling a difficult call that involves someone she has known for years. In the next chapter the reader is introduced to Cole, a Deputy US Marshal, and also the family of a deceased man whom seemingly had everything life could offer, but someone wanted him dead. I loved how this book flowed so nicely, the action and romance were intertwined, and the suspense kept me completely engrossed in the book and wanting to keep turning the pages. DiAnn's books are also so well-written and so believable that it is scary that this could actual happen in real-life. I highly recommend this book and series from DiAnn as book #1 "Deadly Encounter" is another winner! Amanda Cabot is a must-read author for me and her latest novel did not disappoint in the least! "A Stolen Heart" is book #1 in Amanda's newest historical romance series, Cimarron Creek Trilogy. This series begins with Lydia traveling to Texas to meet up with her fiancée and begin a new life. However, Lydia is a Yankee, from Syracuse, NY, and she is snubbed on the stagecoach and begins to question her plan. Lydia knows that she loves Edgar and she knows the area he went to and his desire for independence, meaning he wants them to have their own business as he does not want to be working for someone else. However, that is all Lydia knows and then when she arrives in town, she finds out from the town sheriff Travis that he is not there; however, his wife is. I was immediately drawn into the book in the first few pages and just wanted to keep reading! Lydia is so sweet and naïve and being a Yankee myself, growing up not far from Syracuse, I loved that I could picture her home so well, even if it was a different time period. There was such a mysterious feel and adventure as well as Lydia does not really have a set plan and of course with Edgar's disappearance there is so much more unknown there. I love all the characters and their stories and lives intersecting. Amanda does historical romance so well, she brings the characters to life and brings the small town and the time period to life. The sneak peak for book #2 at the end has me eager for that to be released! 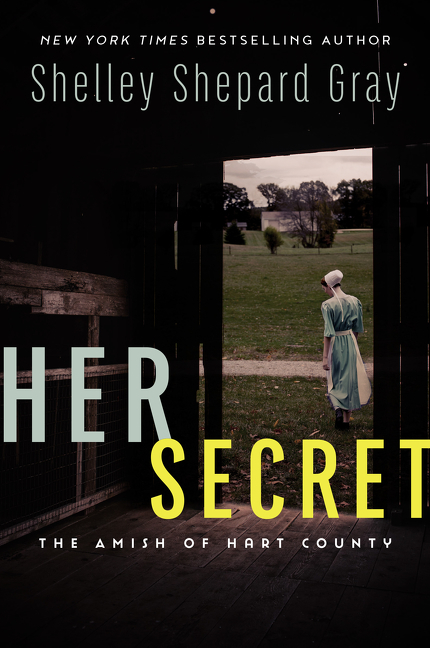 Wow - "Her Secret" is a great book, full of suspense, fast-paced, and kept me reading fast to get to the end! Shelley has a great talent for writing and this was still her same great style of writing, but so different from other Amish novels with the whole stalker and suspense aspect. Hannah and Isaac are both such great main characters. I really empathized with Hannah as she has lived such a lonely life with the fear of being followed and constantly feeling like she's looking over her shoulder. Isaac as unknowingly judged Hannah and comes to new realization, and I love the compassion that he has. This is such a great romantic suspense novel that if you are a fan of this genre, you will want to read this for sure. This is book #1 in Shelley's Amish of Hart County series and I am eager to read book #2! To read other books included on this blog tour, go here! Unchained helps Christians who don't feel that grace has changed their lives. Often when people follow Jesus, they feel more guilty instead of more free. A powerful book for the spiritually restless, Unchained shows readers how to have a robust faith that celebrates their freedom in Christ without compromising their holiness as God's followers. 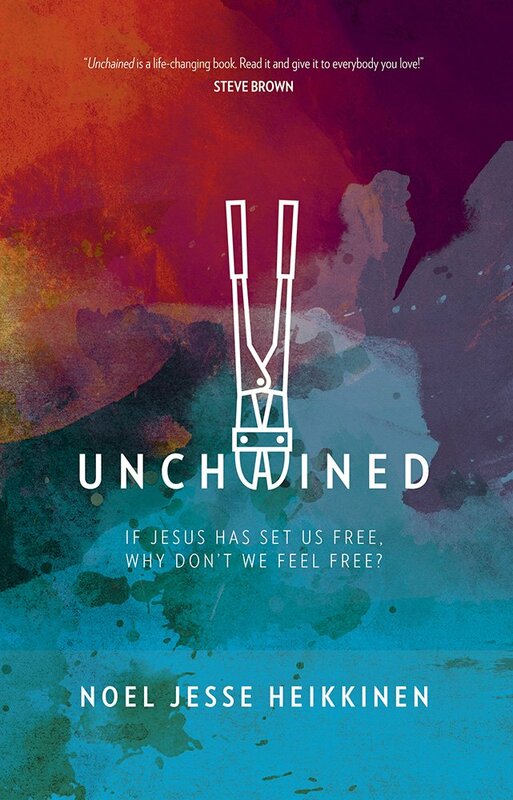 Unchained turns to the person and work of Jesus Christ as the source of freedom-not just his work 2,000 years ago but also what he is doing today. As readers dig into the meaning of the freedom that Jesus offers, they will understand, perhaps for the first time, what true freedom in Christ means. I was very intrigued by this book based on the title and description, "Unchained: if Jesus has set us free, why don't we feel free?" I mean the word freedom is so big and has so many meanings and really is an important concept to so many, but in different ways. Freedom, rights, privileges are such hot topics in society and yet it may be ourselves whom are limiting our own freedoms and limiting the feelings of freeness and freedom that we each long to experience. I found this book to be eye-opening and thought-provoking as I read through each chapter I really thought about myself and the limits, the rules I make for myself, and then what God says and His expectations for me. I loved that there are discussion questions included at the end of each chapter; I read this through myself, but would love to do this with a small group in the future and those questions will be perfect! "Open When...Letters to lift your spirits" is an adorable little book that would be a great gift for a friend, but one that you will want to keep for yourself! This is pocket-size, the size of standard envelopes bound together and is pretty with soothing colors. Included in this book is 12 "envelopes" or flaps to open, when you need something to lift your mood. For example, if you need a little push toward feeling thankful, there is a flap to open that will have you thinking about being grateful and what you are thankful for at this moment. Each flap opens up to a picture and either a sentence or a short paragraph related to the word written on the envelope. This is a book that will make you smile and will inspire you whenever you pick this up! This looks great laying on a coffee table or a end table or resting on a shelf. 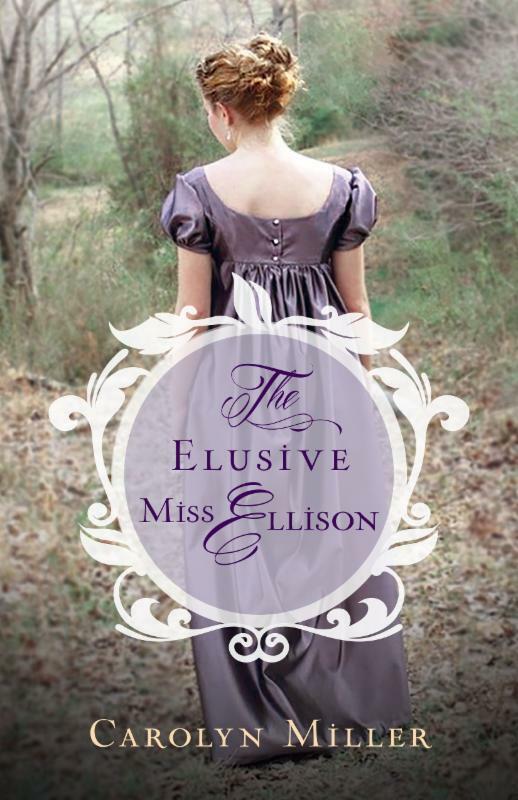 "The Elusive Miss Ellison" is a great start to a Regency Brides series by Carolyn Miller. 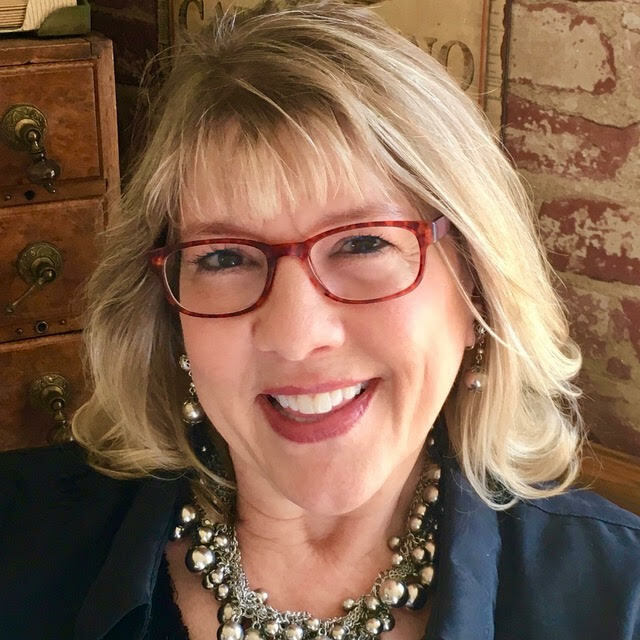 Carolyn's writing style transports the reader back in time to a different time period and a different kind of life and she writes with such vivid details and imagery that it is easy to become completely engrossed in the story and in the characters' lives. Lavinia (Livvie) is so spirited and also has such a kind heart, except toward Nicholas. He is just like his brother and she is not fawning over him like the rest of village. Livvie and NIcholas have many interactions and chemistry as they try to deal with the past and move on from past hurts. I immediately liked both characters as well as the minor characters. The cover of the book is gorgeous as well and I am looking forward to book #2 in the series coming out in a few months! 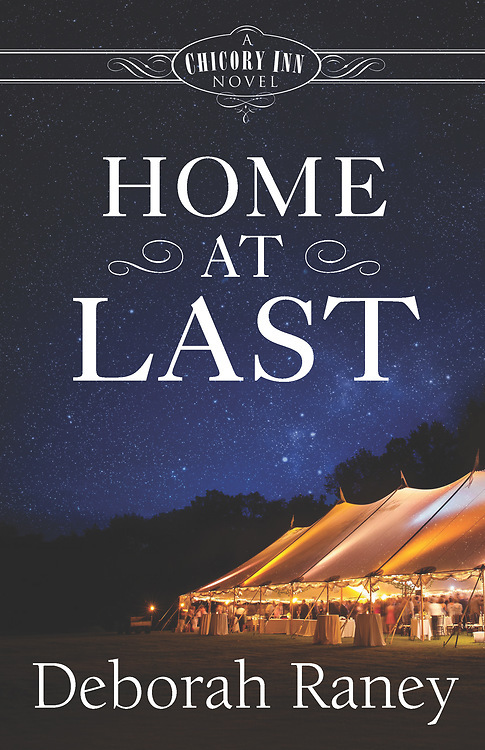 I loved all five books in Deborah's Chicory Inn series and I love how the series ends with "Home at Last." Link is the last single sibling in his family and feels alone at family dinners and get-togethers when he is surrounded by his siblings and their families. Link has never felt about anyone like he does about Shayla; however there are multiple obstacles in their way, one being her father. I really enjoyed how Deborah focused on a different sibling in each of the books, yet she also continued the stories of all of the family members. The entire Whitman family became so real to me and I loved how Deborah did not make life easy and smooth for them, but really had them all deal with a variety of things that are a part of today's society and today's struggles that so many of us face. Shayla's struggles are similar to those that have been a part of the news so much recently, and Deborah addresses them in a way that she doesn't gloss over them, but shows how a loving family helps her and her father to see that not everyone in the world is filled with hatred and not everyone acts the way that unfortunately some do. Love and hope are themes throughout this book and series, as is the importance of family and the bond between family members. I highly recommend this book and this entire series, and am looking forward to what Deborah writes next. Jay Payleitner has collected 144 strategies or "parenting hacks" in his book, "Quick Tips for Busy Families." Each strategy is about a page or two, making it a quick read, but something that may make you say "aha!" and have you waiting for the perfect moment to implement it or something that you may have tried, but now can tweak it just a little to make it more effective with your child or children. Some of the strategies may not be ones that are applicable for you at this time because the age that your child or children are, but ones you may use in the future. For example, visiting colleges, electronic device usage and sarcasm. One of my favorite tips that Jay shares is being on a trip with the kids and the kids are loud, misbehaving, so instead of telling them if they stop you will stop and buy them a treat, which would be rewarding the negative behavior, you pull into a McDonald's run in and buy a treat for yourself. Then you lean against the car enjoying the treat and then get in thank the kids for their patience while you enjoyed the treat and state if they behave and earn it then you will stop and get everyone a treat in a hour. Simple, straight-forward tip that can be quick and easy to implement but so effective! This is just one of many useful tips that Jay shares. There is a topical index in the back of the book making this very easy to find a tip for a current struggle and refer to the book in times of need. I highly recommend this book for parents! 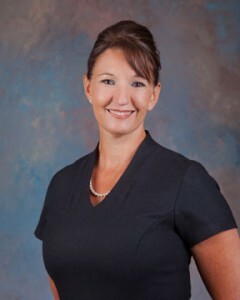 Lost your balance in the midst of motherhood? Get back up with the help of @PenningtonPoint's book! 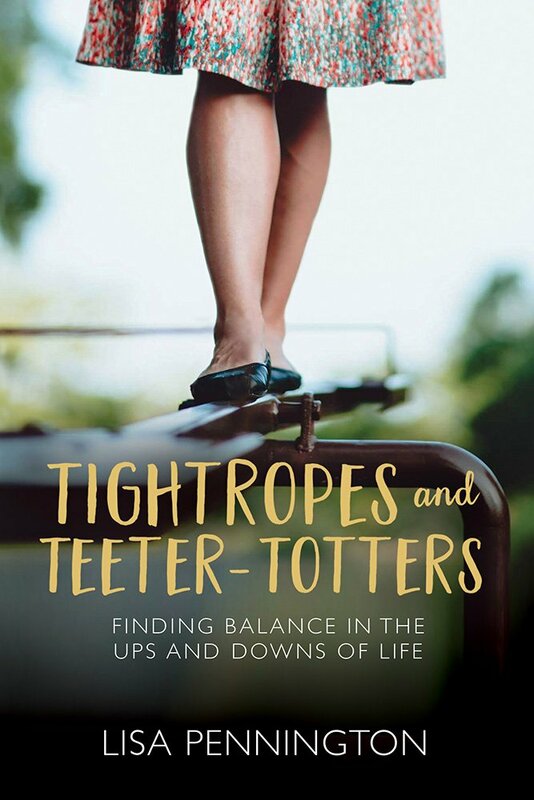 I really enjoyed reading "Tightropes and Teeter-Totters: finding balance in the ups and downs of life," as I felt like it was something I really needed to "hear" (read) at this time. Lisa begins the book by opening her heart and sharing some struggles in her life. This made me feel as if I knew her, but also made me ready to dive into reading thinking hey this woman understands struggles and will be easy to relate to and I was not disappointed. I love the variety of topics that are addressed in his book, each chapter focusing on a different one, from being a mother, having a home that reflects you, managing money and emotions. I felt as if Lisa was having a conversation with me instead of me sitting by myself reading this book, it was flowed that nicely and I felt connected throughout reading the book. Each chapter has stories, suggestions and some steps to take and each chapter ends with an "assignment." The guided assignment is a push to really take charge and put into practice what was discussed in the chapter. I love being left with the thought that we each need to be ourselves and create a life and a balance that works for us, not for someone else, and each person's balance and life is going to be different. I highly recommend this book for mothers to read, you will be encouraged. "Still Life" is book 2 in Dani Pettrey's Chesapeake Valor series and it is a great addition to the series and continuation of the characters' lives as this group of friends work together. Avery reluctantly returned to her past solely to support her friend and she is hopeful that her friend is finally getting her life on a good track. When Skylar is a no show, Avery knows that something is drastically wrong and she knows she must call on her former colleague Parker to help her. As Parker and Avery seek answers as to what has happened to Skylar, they find themselves immersed in the danger. 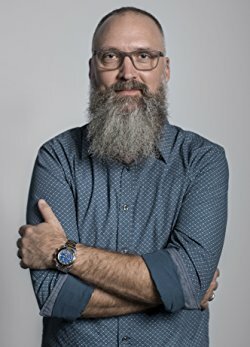 There is another storyline going on as well that started in book #1, as a friend has been missing and there is hope and thought that he is still alive. From start to finish, this book is a whirlwind of a read that will leave you anxious for book #3 to be released! I really enjoy Dani's style of writing as she creates characters whom are believable and easy to empathize with. The suspense and romance are nicely mixed and balanced, and the action is non-stop! 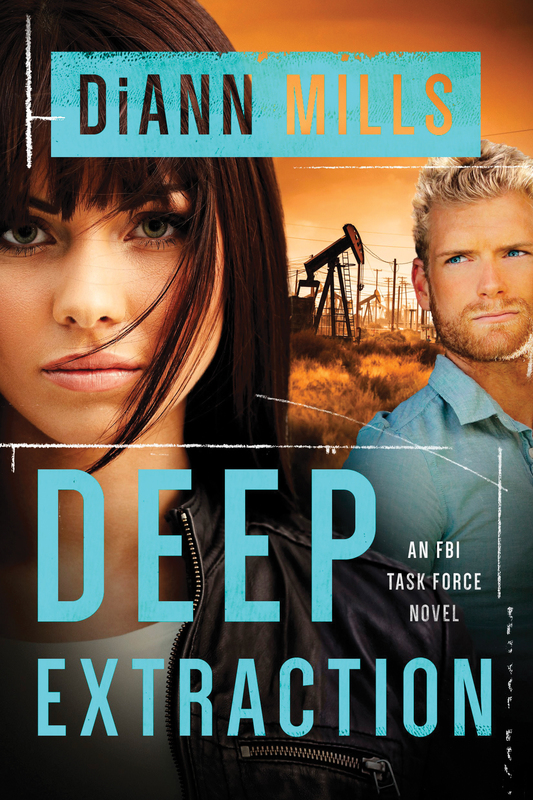 I highly recommend this book to romantic suspense fans, but be sure to read book #1 first! 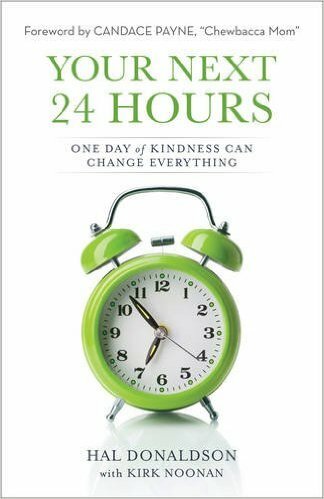 Hal Donaldson, along with Kirk Noonan, begins his book, "Your Next 24 Hours: one day of kindness can change everything" with a personal account of one day in his life that was a bad day, a really bad day that forever changed his life. However, in the midst of tragedy, a couple showed Hal and his siblings kindness even though it was not easy and much was sacrificed. Hal and Kirk have collected stories and share 22 chapters highlighted various people whom have shown kindness and suggest ways that each of us can show kindness to people in our own lives. It is so easy to feel bad for ourselves and through ourselves little pity parties, but really in the whole scheme of things, the issues we are having a fit about are nothing in comparison to what others are dealing with. Or if there really is something that truly is a big deal, a horrible situation we are facing, the little things that others do for us or say truly mean so much. This book is so inspiring and is a true encouragement to me to show kindness to others and really focus on making the most of each day to make a difference. I love the quotes that are shared throughout the book, there are so many highlighted spots throughout this after reading it.